Successfully Added Digital Camera with Flash, 5.5M Pixel, LCD 2.0 inch, SD/MMC to your Shopping Cart. 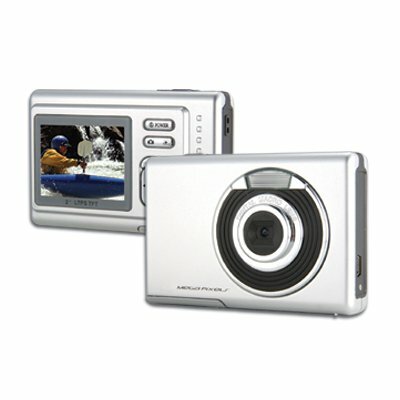 Slim design Digital Camera, MP3/4 player at wholesale price. Take pictures or videos, or listen to music and watch DVD quality movies all in great definition. This product is popular with customers due to its high standard and excellent features. Note on Interpolation: Please note that this camera takes images in sizes equivalent to 5.5 megapixels. This is through a software resizing process on the camera called interpolation. The image sensor of this camera has a native resolution of 3.0 megapixels.